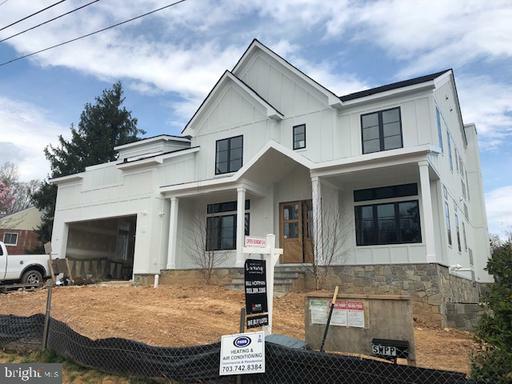 This stunning new BeaconCrest Home is located in on a quiet Arlington street, minutes from Westover, East Falls Church Metro Station, and 66 making for a quick trip to anywhere you want to be. 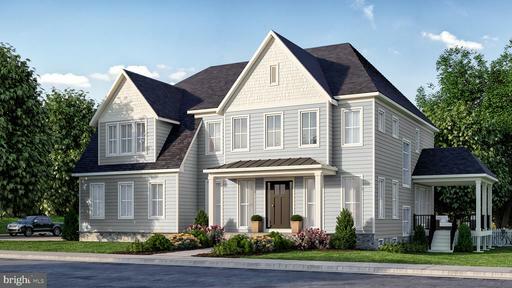 As you arrive home, you are greeted by a modern take on a traditional farm house, with a huge front porch that runs the full length of the facade. Inside, a welcoming foyer flanked by a living room and a formal dining room make for ample space to entertain. The open concept rear of the home includes the family room, large breakfast area and gourmet kitchen that is a dream for any level chef. A separate owners entrance through the 2-car garage leads through a large mudroom into the kitchen. A study, covered deck, and butlers pantry are other great features of this level. On the second level youll find an impressive owner~s suite where one can appreciate two walk-in closets, sitting area, and a luxurious master bath ready for relaxation. The bathroom features a free-standing bathtub and separate shower along with a walk-in dressing room. Also on the second floor are the laundry room and additional three bedrooms, each is outfitted with an en-suite bathroom and walk-in closet. The loft level includes another bedroom with an en-suite bathroom and more play/office space. A finished lower level is equipped with a bedroom and full bathroom along with a gigantic recreational room.This 10,000 + Sq. Ft. lot offers plenty of flat space in the backyard for play or additional entertaining area. Anticipated fall 2019 delivery. Excellent construction, shows beautifully on large lot. Fantastic floor plan with oversized library and second master on main level. Large sunny windows, stylish finishes. Ensuite baths throughout. Exercise room, lower level w walk-out and full bedroom and full bath. ALMOST 1/3 ACRE WALKING DISTANCE TO METRO TUKAHOE ELEMENTARY - Excellent condition with over $100k in recent upgrades. Set-back on quite cul-de-sac at top of hill. Amazing light and views. 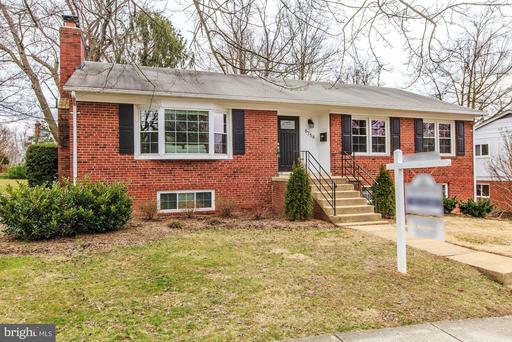 Open Sun 3/31 2-4 Walk to metro!Beautifully renovated, move-in ready, all brick rambler w/ 1 car garage and beautiful lot. 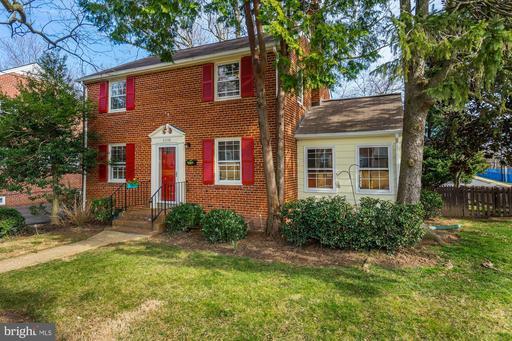 4 br/3 BA, large living room, wood burning fireplace and hardwood floor on the main level. Lower level has large family room w/built -ins, another bedroom, full bath and walk out to great backyard and patio.
! !PRICE REDUCTION!! Enjoy the best of urban and suburban living: .7 miles to EFC Metro and I66 East; .5 mile to I66 West and WOD bike trail. Option to bypass the 10-12-year waiting list for Overlee Pool 2020 membership. This classic mid-century colonial is sited on a lovely corner lot shaded by a magnificent Maple. The home has been lovingly maintained and updated. 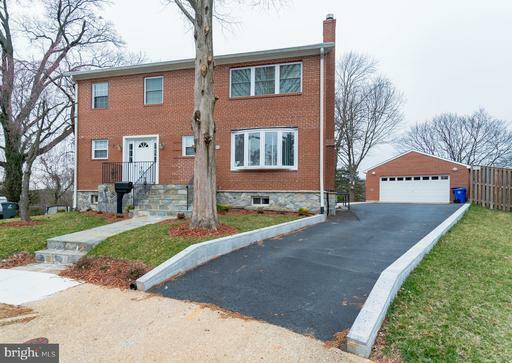 It is move-in ready with fresh paint, refinished hardwood floors on two levels, updated CAC, 3 bathrooms, recessed lighting and new Luxury Vinyl Tile in the kitchen, study and lower level bonus room. 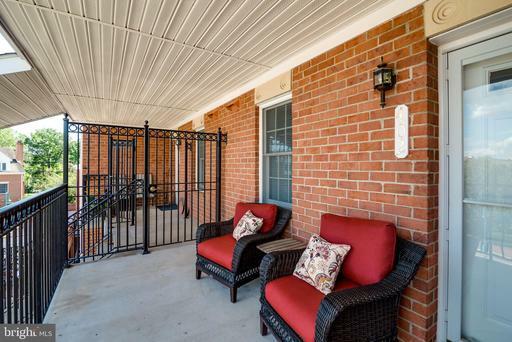 The spacious rear patio/deck is ready to provide a spring, summer and fall of outdoor enjoyment. Off street parking. 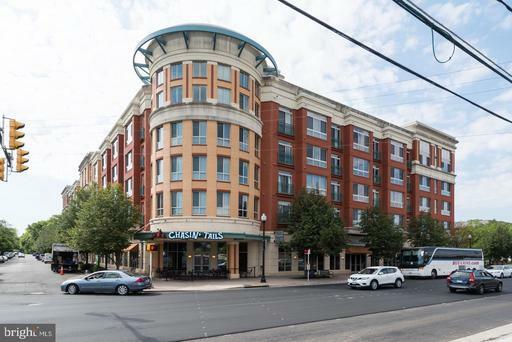 Sunny, 4th floor corner unit at sought after Westlee Condominiums. * Gleaming hard wood floors greet you. * Open, gourmet kitchen boasts stainless steel appliances, granite counters and a breakfast bar. * Built-in microwave, stove, sink and dishwasher replaced in 2018. * 75 gallon hot water is also new. * Storage upgrades made to master bedroom closet, and front entry closet. * In-unit washer and dryer for your convenience. * Amenities include secure building with friendly front desk concierge, gym, party room, pool table and bike storage. * One garage space conveys, but car not needed since just a half mile to East Falls Church Metro! * Half a block to bus route on Rte. 29. * Enjoy free time on WOD Trail, only a block away. * $423.03/mo. condo fee includes water, trash, parking and common area cleaning and maintenance. * Pet friendly community with 1 pet, 25 lb limit. 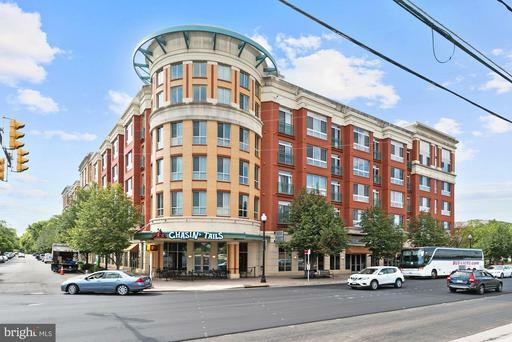 **EXCELLENT INVESTMENT PROPERTY ** TOP FLOOR UNIT IN DESIRABLE FALLS STATION ** Soaring ceilings, two balconies and big windows add to the ambiance and spaciousness of this wonderfully livable 2BR, 2BA condo. Plus, top floor means No Footsteps Above You! Wood floors, modern lighting and like new Stainless Steel appliances add the Bling! Almost new HVAC system adds the Security. Two assigned parking spaces on the upper level adds convenience. 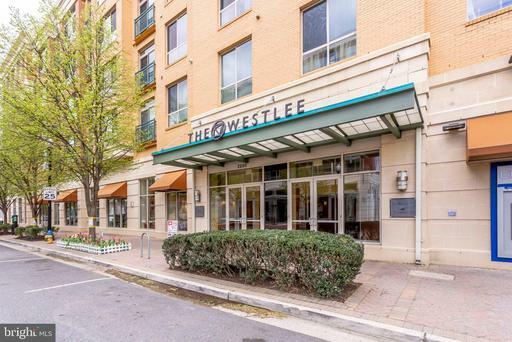 Walk-to-metro on the WOD trail and 1 block to I-66 adds a Communters Dream Location. Less than a mile to the newly bustling Little Falls City center with brand new Harris Teeter, shops, eateries. Currently rented through the end of October. EXCELLENT FOR INVESTORS and buyers who do not need to move right away - rent can help pay your mortgage payment! All in all, an OUTSTANDING Condo. OPEN FOR SHOWINGS ON MON 4/15, 4-7PM AND THURS, 4/18, 5-7. Listing Broker: The Albrittain Group, LLC. GORGIOUS PENTHOUSE 1BR+DEN, STEPS TO EFC METRO. HRDWDS. KIT w/ SS ES APPL, GRANITE GAS COOKING! FLOOR TO 10+ft CEILING WINDOWS, LARGE BR WITH WALK IN CLOSET, SPACIOUS DEN/OFFICE/LIBRARY. GRANITE VANITY and LIMESTONE TILE in BATHROOM. W/D IN UNIT. EXTRA STORAGE SECURE GARAGE PARKING SPACE INCLUDED. Listing Broker: United Realty, Inc.